This feature is available on CDN endpoints for all pricing tiers. Export data to blob storage, export to CSV, and generate graphs in Excel. Export data to Event Hubs and correlate with data from other Azure services. The following diagram shows a typical CDN core analytics view of data. For more information about diagnostic logs, see Diagnostic Logs. Sign in to the Azure portal. 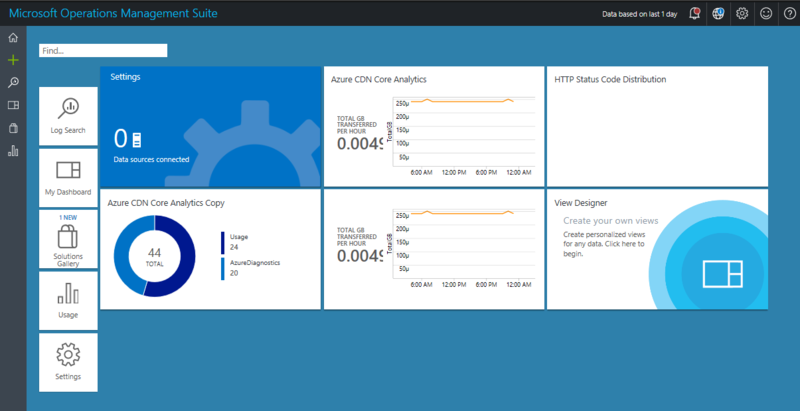 If you don't already have enabled CDN for your workflow, Create an Azure CDN profile and endpoint before you continue. 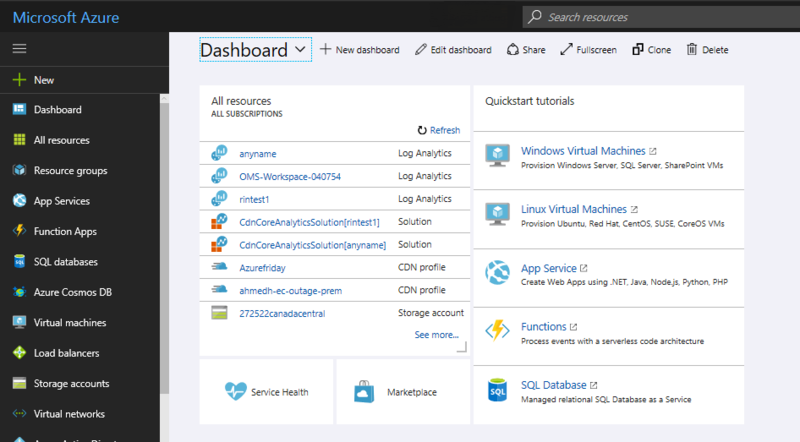 In the Azure portal, navigate to CDN profile. 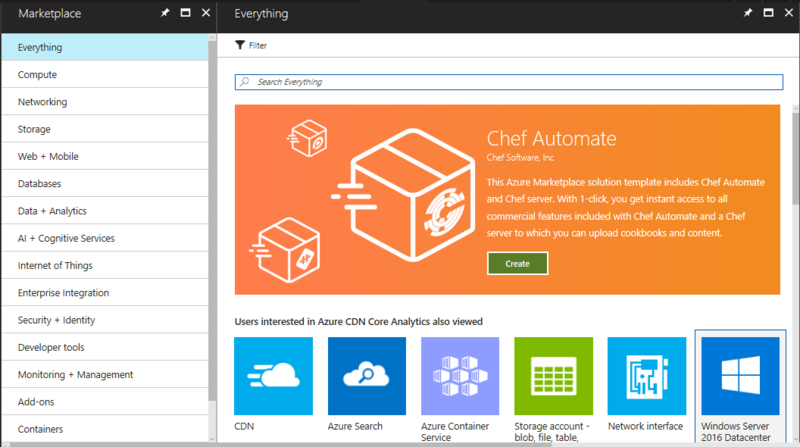 In the Azure portal, search for a CDN profile or select one from your dashboard. 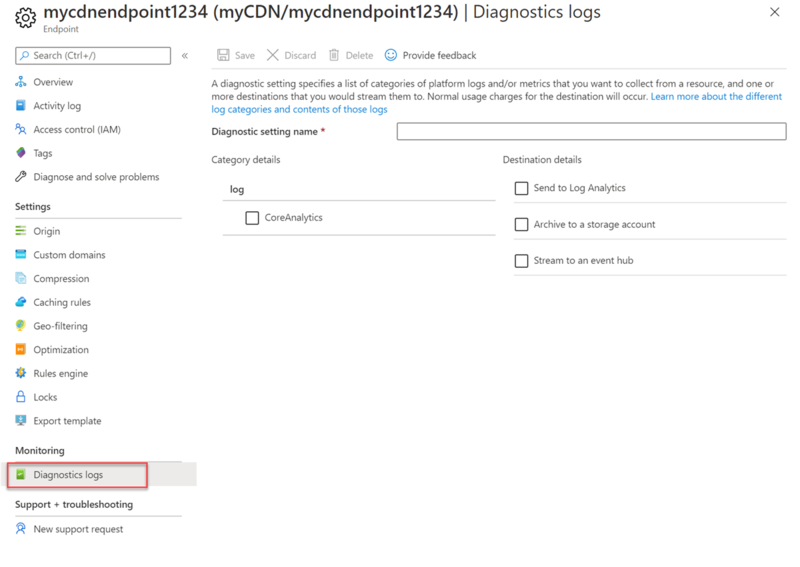 Then, select the CDN endpoint for which you want to enable diagnostics logs. Select Diagnostics logs in the MONITORING section. The Diagnostics logs page appears. For Name, enter a name for your diagnostic log settings. Select Archive to a storage account, then select CoreAnalytics. For Retention (days), choose the number of retention days. A retention of zero days stores the logs indefinitely. The Select a storage account page appears. Select a storage account from the drop-down list, then select OK.
After you have finished making your diagnostic log settings, select Save. From the Diagnostics logs page, select Send to Log Analytics. 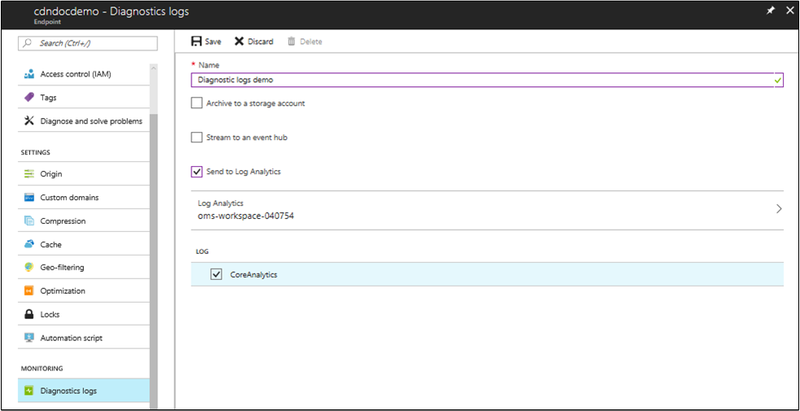 Select Configure to configure Azure Monitor logging. The Log Analytics workspaces page appears. 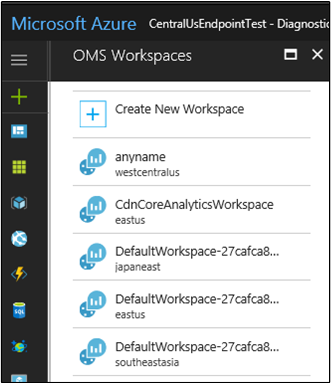 OMS workspaces are now referred to as Log Analytics workspaces. The Log Analytics workspace page appears. For Log Analytics workspace, enter a Log Analytics workspace name. The Log Analytics workspace name must be unique and contain only letters, numbers, and hyphens; spaces and underscores are not allowed. For Subscription, select an existing subscription from the drop-down list. For Resource group, create a new resource group or select an existing one. For Location, select a location from the list. Select Pin to dashboard if you want to save the log configuration to your dashboard. After your workspace is created, you're returned to the Diagnostic logs page. Confirm the name of your new Log Analytics workspace. Select CoreAnalytics, then select Save. To view the new Log Analytics workspace, select Core analytics from your CDN endpoint page. Your Log Analytics workspace is now ready to log data. In order to consume that data, you must use a Azure Monitor logs solution, covered later in this article. For more information about log data delays, see Log data delays. The following example shows how to enable diagnostic logs via the Azure PowerShell Cmdlets. 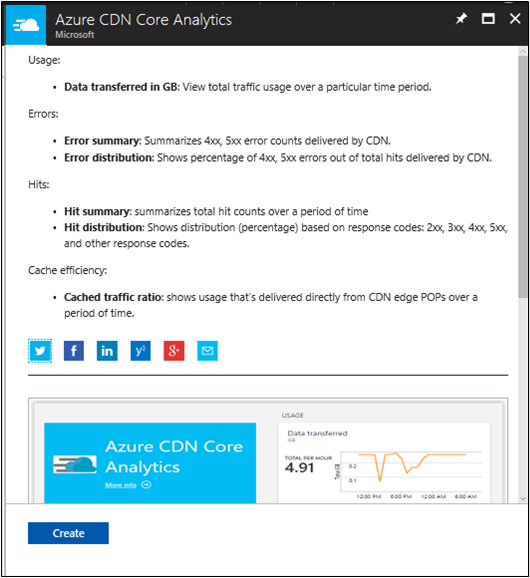 This section describes the schema of CDN core analytics, how it is organized inside of an Azure storage account, and provides sample code to download the logs in a CSV file. 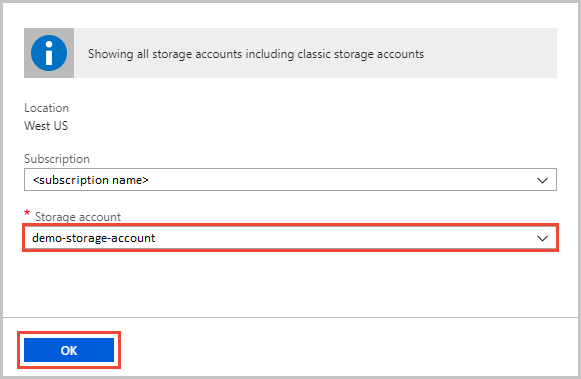 Before you can access the core analytics data from an Azure storage account, you first need a tool to access the contents in a storage account. 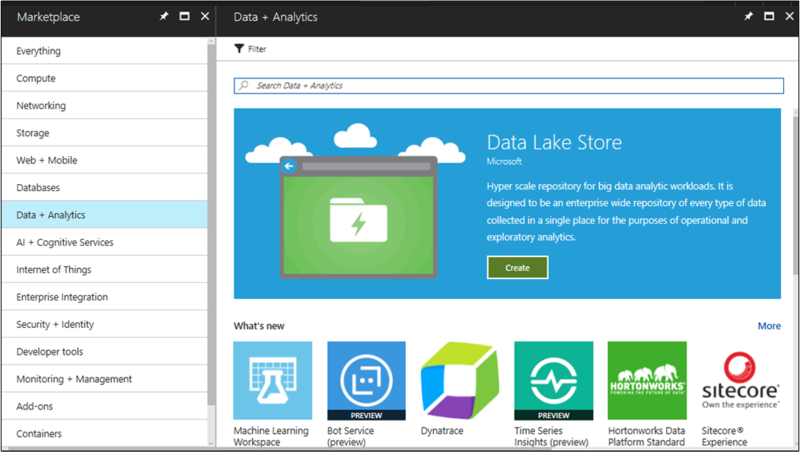 While there are several tools available in the market, the one that we recommend is the Microsoft Azure Storage Explorer. To download the tool, see Azure Storage Explorer. 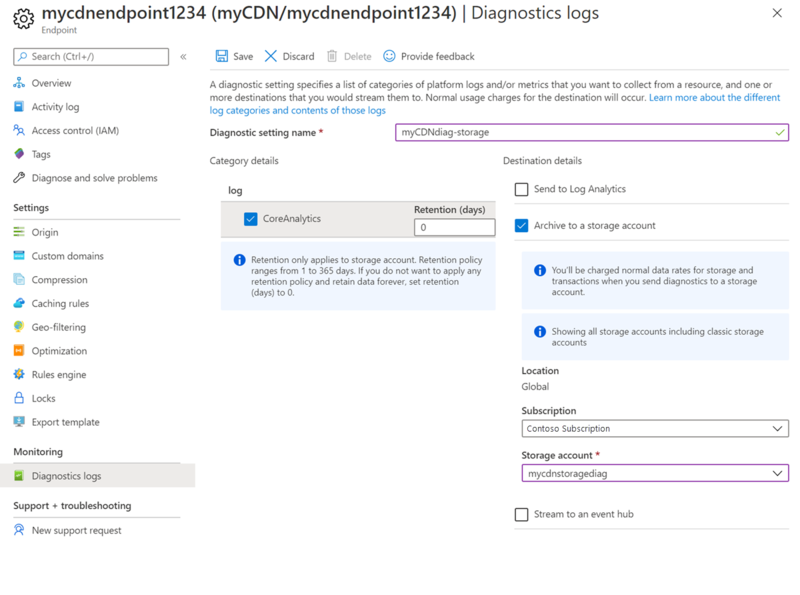 After downloading and installing the software, configure it to use the same Azure storage account that was configured as a destination to the CDN Diagnostics Logs. Expand the Blob Containers node under this storage account. Select the container named insights-logs-coreanalytics. Results show up on the right-hand pane, starting with the first level, as resourceId=. Continue selecting each level until you find the file PT1H.json. For an explanation of the path, see Blob path format. Each blob PT1H.json file represents the analytics logs for one hour for a specific CDN endpoint or its custom domain. The schema of the contents of this JSON file is described in the section schema of the core analytics logs. 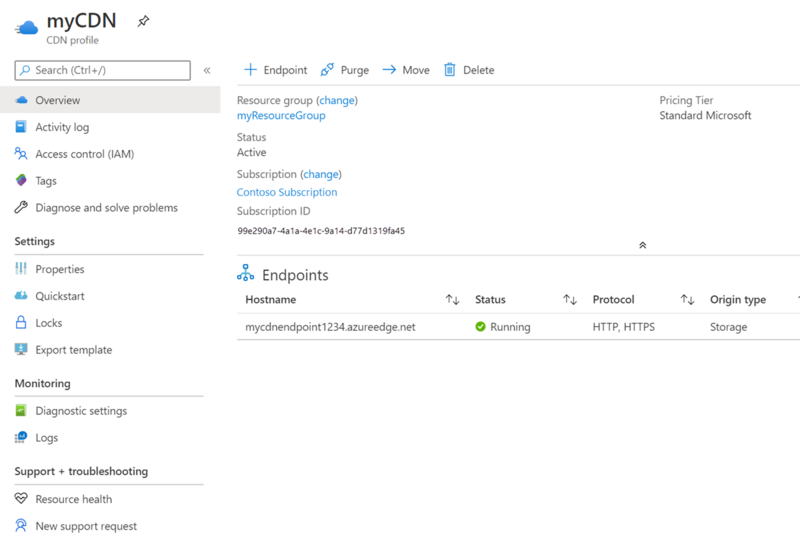 Subscription ID ID of the Azure subscription in Guid format. Resource Group Name Name of the resource group to which the CDN resources belong. 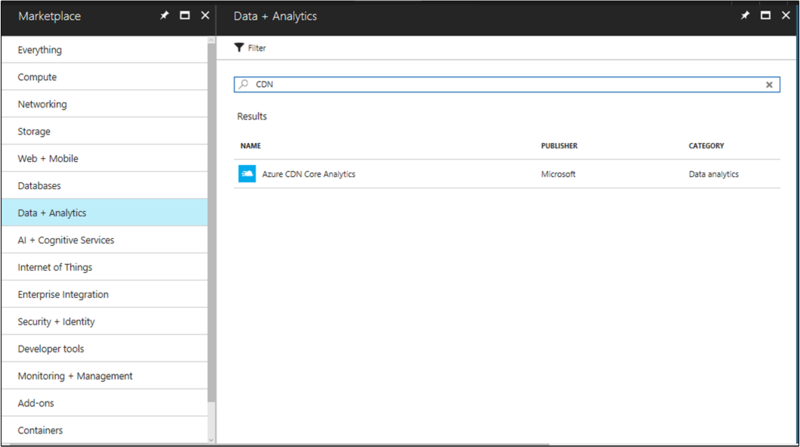 To make it easy to access core analytics, sample code for a tool is provided. This tool allows downloading the JSON files into a flat comma-separated file format, which can be used to create charts or other aggregations. Follow the instructions to compile and configure. The resulting CSV file shows the analytics data in a simple flat hierarchy. Azure Monitor is an Azure service that monitors your cloud and on-premises environments to maintain their availability and performance. It collects data generated by resources in your cloud and on-premises environments and from other monitoring tools to provide analysis across multiple sources. To use Azure Monitor, you must enable logging to the Azure Log Analytics workspace, which is discussed earlier in this article. You can display the data in a variety of ways by using Management Solutions. You can obtain Management Solutions from the Azure Marketplace. You can install monitoring solutions from Azure marketplace by selecting the Get it now link at the bottom of each solution. 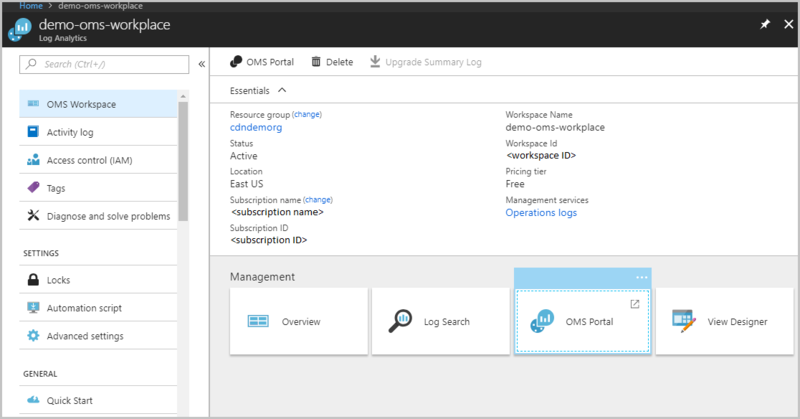 Sign in to the Azure portal using your Azure subscription and go to your dashboard. 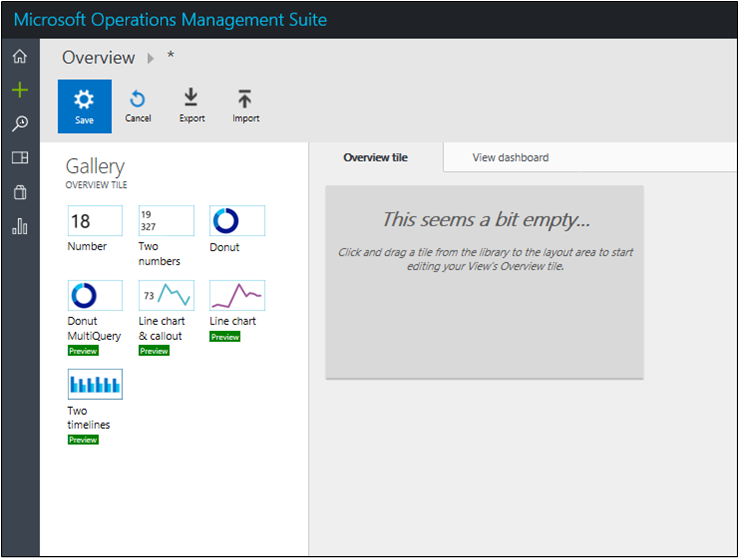 In the New page, under Marketplace, select Monitoring + management. In the Monitoring + management page, select See all. Search for CDN in the search box. 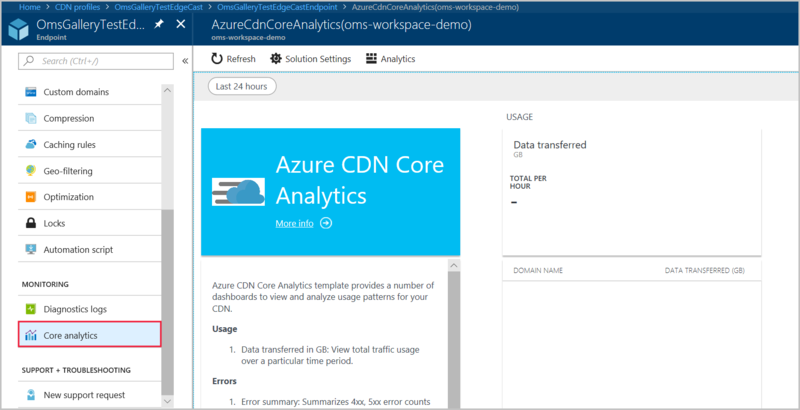 Select Azure CDN Core Analytics. After you select Create, you are asked to create a new Log Analytics workspace or use an existing one. Select the workspace you created before. You then need to add an automation account. 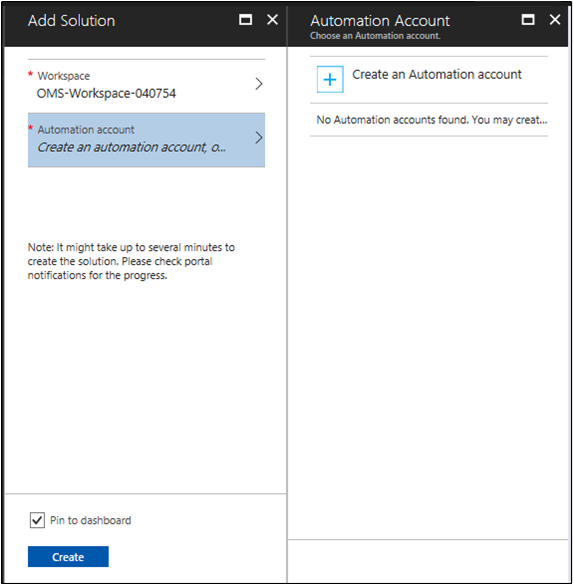 The following screen shows the automation account form you must fill out. Once you have created the automation account, you are ready to add your solution. Select the Create button. Your solution has now been added to your workspace. 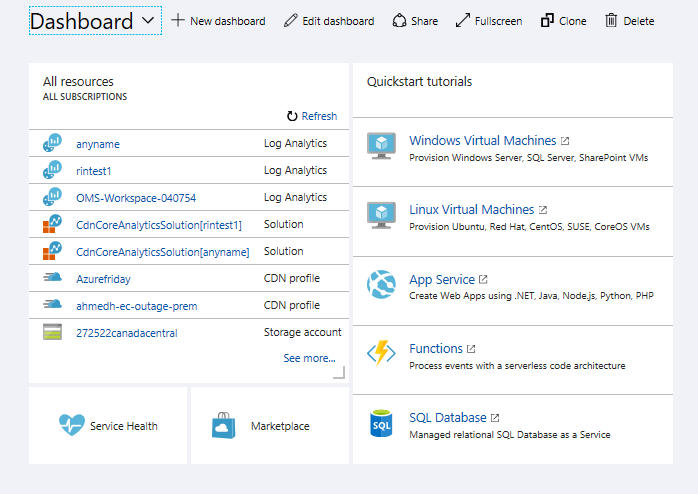 Return to your Azure portal dashboard. 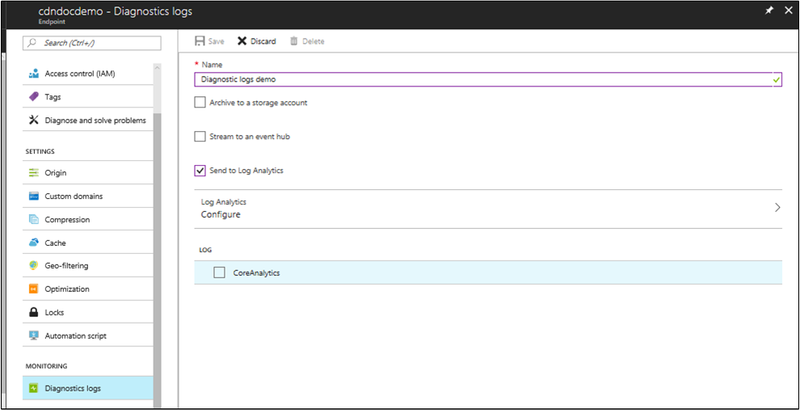 Select the Log Analytics workspace you created to go to your workspace. 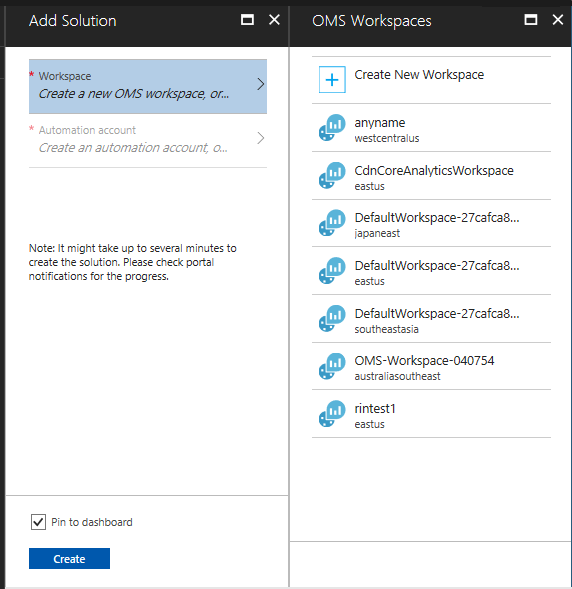 Select the OMS Portal tile to see your new solution. Select one of the tiles to see several views into your data. You can scroll left or right to see further tiles representing individual views into the data. Select one of the tiles to see more details about your data. You can see offers and pricing tiers for management solutions here. You can customize the view into your data by using the View Designer. To begin designing, go to your Log Analytics workspace and select the View Designer tile. Drag-and-drop the types of charts and fill in the data details you want to analyze. The following table shows log data delays for Azure CDN Standard from Microsoft, Azure CDN Standard from Akamai, and Azure CDN Standard/Premium from Verizon. Delayed by 1 hour. Delayed by 1 hour and can take up to 2 hours to start appearing after endpoint propagation completion. Delayed by 24 hours; if it was created more than 24 hours ago, it takes up to 2 hours to start appearing. If it was recently created, it can take up to 25 hours for the logs to start appearing. Microsoft currently offers core analytics logs only, which contain metrics showing HTTP response statistics and egress statistics as seen from the CDN POPs/edges. The following table shows a list of metrics available in the core analytics logs for Azure CDN Standard from Microsoft, Azure CDN Standard from Akamai, and Azure CDN Standard/Premium from Verizon. Not all metrics are available from all providers, although such differences are minimal. The table also displays whether a given metric is available from a provider. The metrics are available for only those CDN endpoints that have traffic on them. *Outbound data transfer refers to traffic delivered from CDN POP servers to the client. Where time represents the start time of the hour boundary for which the statistics is reported. When a metric is not supported by a CDN provider, instead of a double or integer value, there is a null value. This null value indicates the absence of a metric, and is different from a value of 0. There is one set of these metrics per domain configured on the endpoint.